Public officials should attend events at mosques, as they do churches and synagogues, the study recommended. (CNN) -- The terrorist threat posed by radicalized Muslim- Americans has been exaggerated, according to a study released Wednesday by researchers at Duke University and the University of North Carolina at Chapel Hill. To be included on the list, an offender had to have been wanted, arrested, convicted or killed in connection with terrorism-related activities since 9/11 -- and have lived in the United States, regardless of immigration status, for more than a year prior to arrest. Of the 139 offenders, fewer than a third successfully executed a violent plan, according to a Duke University statement on the study, and most of those were overseas. Read the report:"Anti-Terror Lessons of Muslim-Americans"
In the aftermath of 9/11, however, as well as terrorist attacks elsewhere in the world, the possible radicalization of Muslim-Americans is a "key counterterrorism concern" -- magnified by heavy publicity that accompanies the arrests of Muslim-Americans, such as that seen in the wake of the November shootings at Fort Hood, Texas, in which 13 people were killed. Army psychiatrist Maj. Nidal Hasan, a Muslim born in Virginia, is charged in connection with that incident. Other high-profile incidents include the charging of eight Somali-American men on charges related to what authorities say are efforts to recruit youths from the Minneapolis, Minnesota, area to fight for al-Shabaab, a Somali guerrilla movement battling the African country's U.N.-backed transitional government. At least two young men from Minnesota have been killed in Somalia, including one who blew himself up in what is believed to have been the first suicide bombing carried out by a naturalized U.S. citizen. In addition, five Americans were arrested last month in Pakistan, and police have said they are confident that they were planning terrorist attacks. A Pakistani court Monday gave police two weeks to prepare their case against the five; authorities have said they plan to prosecute the youths under the country's anti-terrorism act. 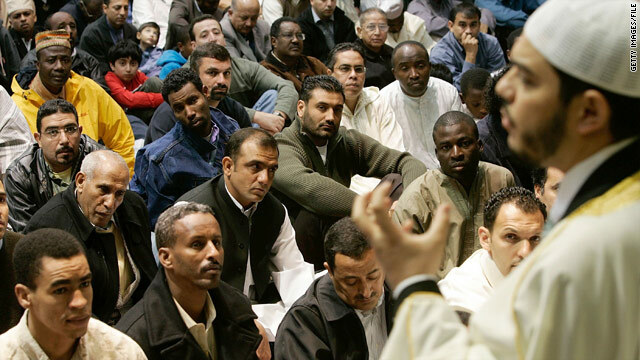 Muslim-American communities have been active in preventing radicalization. Governments can promote and encourage the building of strong Muslim-American communities and promote outreach by social services agencies, the study said. "Our research suggests that Muslim-American communities desire collaboration and outreach with the government beyond law enforcement, in areas such as public health, education and transportation." And the Muslim-American community can promote enhanced education about its religion and beliefs, the study said. Increased civil rights enforcement can also be an important tool. However, policies that alienate Muslims may increase the threat of homegrown terrorism rather than reducing it, the study said. "Our research suggests that initiatives that treat Muslim-Americans as part of the solution to this problem are far more likely to be successful," said Schanzer. Schanzer, Kurzman and Ebrahim Moosa, associate professor of religion at Duke, co-authored the study, which summarized two years of research involving interviews of more than 120 Muslims in four different communities nationwide -- Seattle, Washington; Houston, Texas; Buffalo, New York; and Raleigh-Durham, North Carolina. The study was funded by a grant from the Department of Justice.